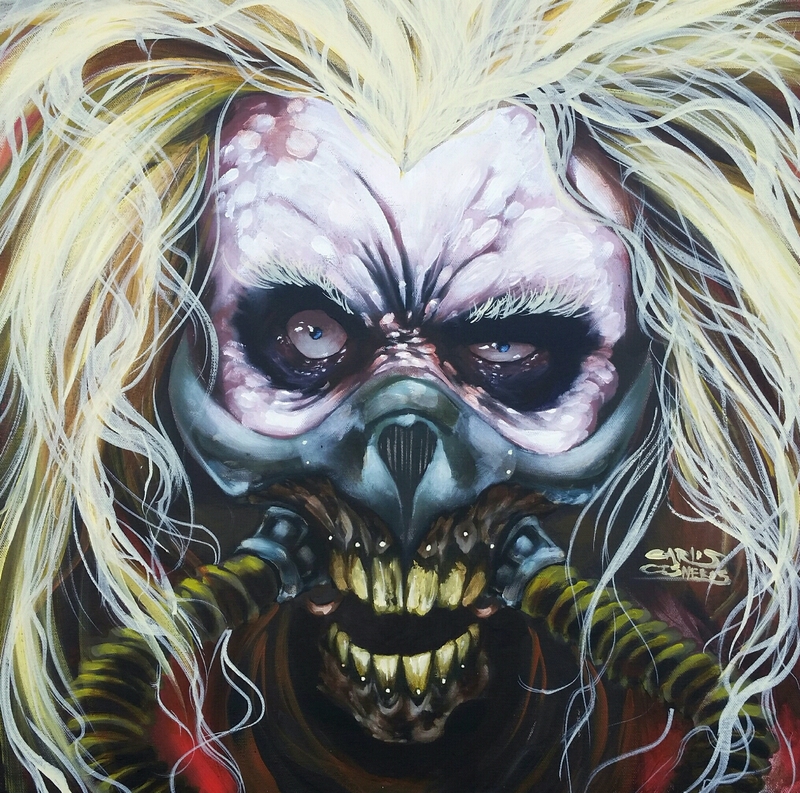 This entry was posted in Uncategorized and tagged 559, a fools paradise, acrylic painting, art, cacillustrations, carlos cisneros, comic art, dark art, drawing, fan art, Fresno art, fury road, immortan joe, lowbrow, mad max, mariposa art company, merced, painting, pop surrealism, portrait, st. joe, street art, visalia, wyse fools. Bookmark the permalink. Immortan Joe looks suspiciously like me as I sat in the dentist chair this morning. Love those eyes and the “living” hair…good stuff!